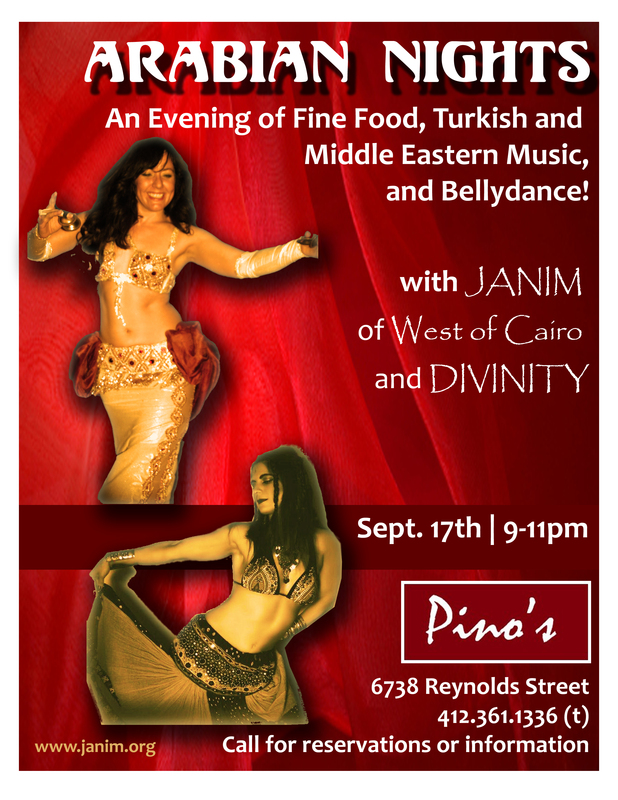 Pino’s Contemporary Italian Restaurant in Point Breeze will host the mesmerizing Janim and Divinity as they share the magical art of belly dancing in two dinner/ dance sets. Dancing begins at 9pm. Come to unwind with us for a night of quality cuisine, an enchanting decor, arts and music for a night to remember. Reservations are always recommended but not necessary at (412) 361-1336. Previous PostPrevious To zill or not to zill? Next PostNext Last Minute Sunday Zilling Workshop!